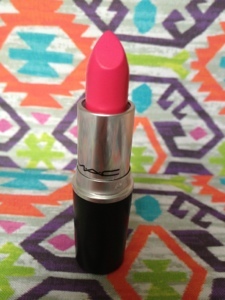 Pink Pigeon is a recent reissue as part of MAC's Strength collection. 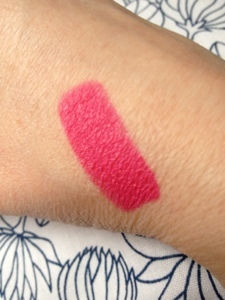 A blue based hot pink, it's a matte formula that goes on surprisingly creamy. I really love bright lip colours but find that with my pale skin and red hair I have to be quite careful about choosing a shade. This one I love! It's really opaque and on me, lasts a good 5 hours without needing a top up. The matte formula does get a little drying, so I always apply a lip balm underneath about 10 minutes before the lipstick. Pink Pigeon retails at £14 and can be found online and at MAC counters. I believe it's limited edition though so go fast if you want one! Oooh this colour is beautiful, I'm a huge fan of Mac lipsticks, there staying power is amazing. I'm a new follower btw, your blogs lovely. Oh my gosh! That's an incredible shade! 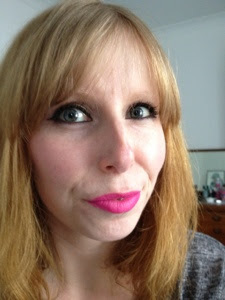 i found your blog via the #bbloggers chat today and i am honestly loving your blog so you have a new follower! i would love it if you could check mine out too!